Alongside their academic subjects, pupils at Sacks Morasha enjoy a wide variety of extracurricular clubs, trips and events. Lead by our Year 5 teacher who has been teaching netball for over 15 years, our pupils enjoy playing netball as well as learning the different skills needed to be skilled netball players. Our Art teacher Leat comes in twice a week to carry out a variety of art activities. Our pupils enjoy creating pieces of art using a range of materials and mediums. We have chess coaches from an outside agency to teach and coach our pupils in the art of chess, in a fun and exciting way. 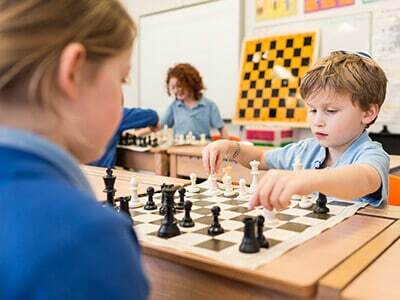 Supported by this club, our pupils take part in chess competitions outside the school. We use external football coaches from Sports Challenge, who ignite a love of football whilst teaching the pupils football skills. Our musical maestro Mr Kett teaches our pupils cohesion and singing, supported by our music teacher Mrs Ridger and Mrs Rockman. The choir perform at a range of events both inside and outside school. With Rebbitzen Mandy Lawrence, our pupils learn to lein megilla. They work towards being able to showcase their newly-acquired skills at Purim time in front of the whole school. 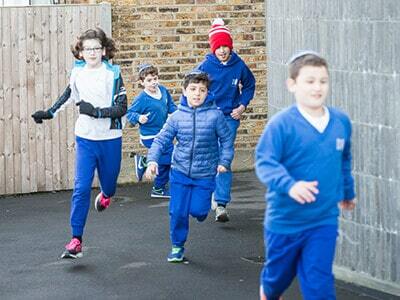 Led by parents, our pupils run before school, building up their fitness and endurance. The running club also work towards an end goal of a 5k charity run. 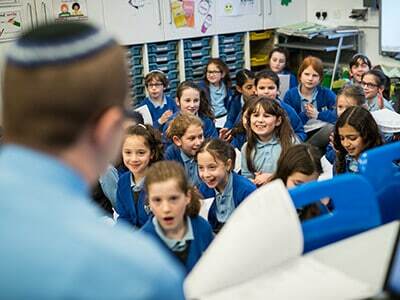 Our pupils learn the skills of coding in a fun and interactive after-school club, run by Jewish Interactive. At Sacks Morasha, we believe that trips are a very important part of our curriculum to enhance our children's learning. We endeavour to take our children on a minimum of two trips per academic year, each of which links directly into our curriculum. These trips can range from being academic in nature - for example, The Ragged School Museum in London's East End and Verulamium Museum of everyday Roman life in St Albans - through to trips to care homes to teach our children the importance of caring for our community. We post reports about our school trips in the News section of this site. 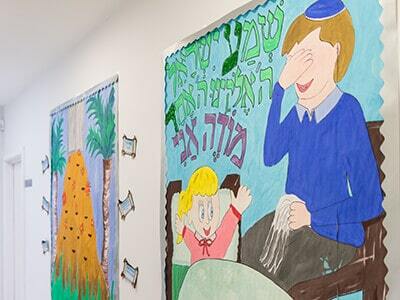 Many events take place at Sacks Morasha involving both pupils and parents. Whether it's school fun days, parents' evening forums or performances by pupils, we offer a packed calendar throughout the year. See our News section for reports on recent events, and find out the details and dates of what's coming up by visiting our Events page.